We live in extraordinary times of change and challenge. Environmental catastrophes in different parts of the world bear witness to a climate warmed by increasing carbon dioxide emissions: peoples’ homes and lives are impacted by natural phenomena made more severe by our emissions. In the UK the housing crisis has put the cost of buying a home out of reach for more and more people. These twin challenges, while significant, can be responded to creatively, individually as well as collectively and the way we build our homes can play a unique role in doing so. Our homes are the places where we feel safe, they provide us with shelter, they are where we bring up our children, host our friends and, for those lucky enough to be able to build their own home, they are the places where our creativity can be expressed and celebrated. 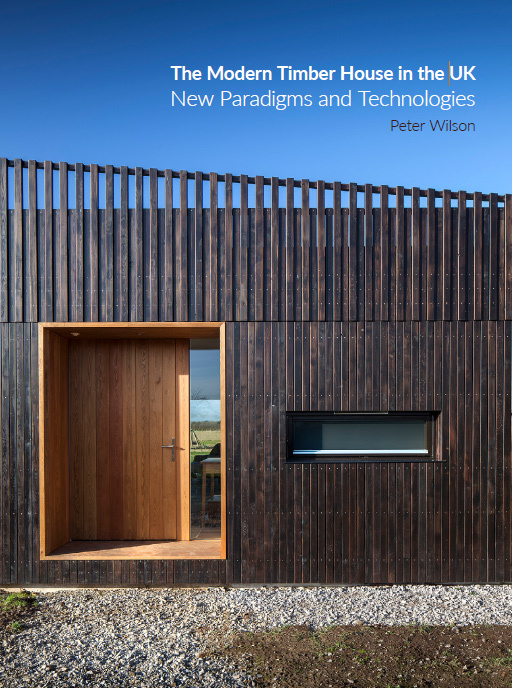 This book showcases the beauty, strength and versatility of timber and how it can play an ever-increasing role in addressing the combined challenges of climate change and housing need. It demonstrates, too, just how innovative designers and engineers can be in developing new systems and solutions using a material that predates our existence on the planet. Timber enables us to build the most energy-efficient of homes to help us minimise the use of fossil fuels and, consequently, our emissions. A naturally renewable material, it not only has one of the lowest carbon footprints of any construction material, it is also made of the carbon that trees absorb from the atmosphere as they grow: we can literally build with carbon, capturing and storing it in the fabric of our homes. With its publication, my role as chair of Wood for Good has come to an end I am delighted to be handing the baton over to David Birkbeck, CEO of Design for Homes. I am certain the Wood for Good campaign will go from strength to strength under his guidance.